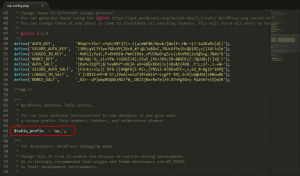 First thing you need to do is to check the prefix of your WordPress Site. The default prefix is wp_ . You may have changed it when you first installed the WordPress. 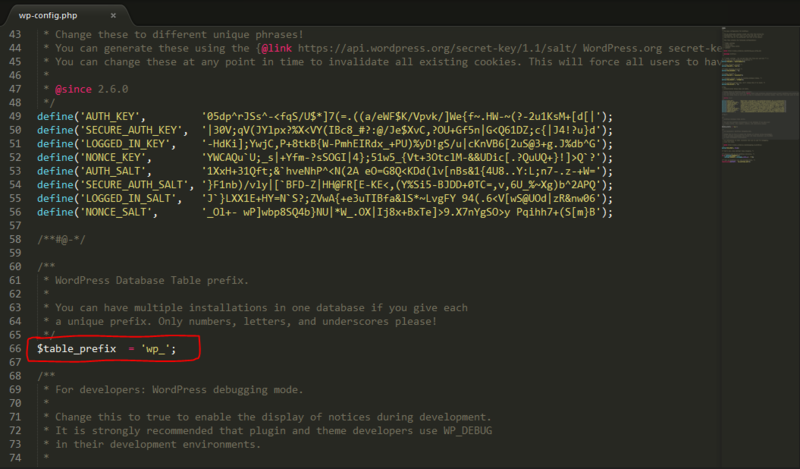 However, if you forgot what it is, you can check it by searching for wp-config.php file in your site directory. Open it using notepad++ or any text editor and search for $table_prefix. Now, you got the prefix. With other Prefix: Simply extract the profiles.zip filethat you received while purchasing the 50,000 profiles package and open up the runfirst.sql, profiles.sql and users.sql, search for wp_ and replace it with your prefix and save it. Now create a new zip file named profiles-new.zip with the new files of runfirst.sql, profiles.sql and users.sql (the files with the changed prefix) and upload it in wp-contents> uploads>dsp_media on your site. 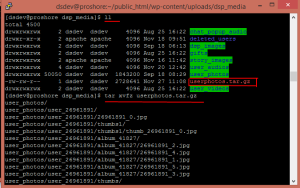 Now unzip the file profiles-new.zip in the directory wp-contents > uploads > dsp_media. Open a software called Putty. You can download it for free if you don’t have one from this link. 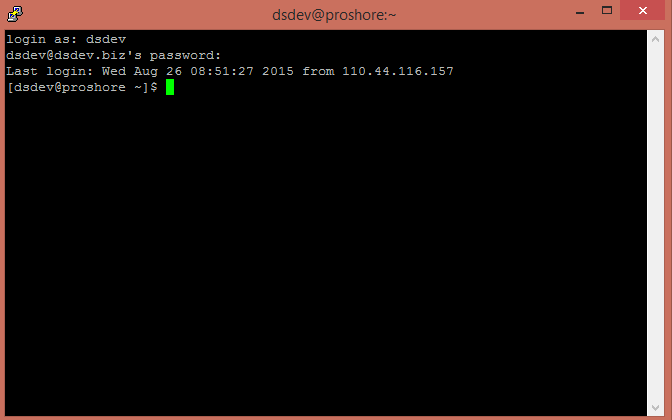 Enter the Host Name or ip address, port of your site and check on SSH and then click on open. Just make sure that SSH is enabled for your site, if its not contact your host provider and enable SSH for your site. After you click ‘Open’ you will be asked for the credentials: login as: here enter the username of ssh and press enter. Password: type the password and you will get access to your server. Now you need to extract userphotos.tar.gz file.To do this type the command : tar xvfz userphotos.tar.gz and press enter. Repeat step 8 by replacing runfirst.sql by users.sql first and then again do the same process for the profiles.sql. 50,000 profiles has been installed in your site.